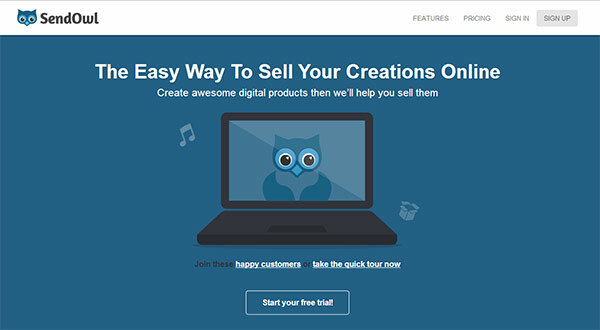 Creating and selling your own digital product is one of the most effective ways to monetize your website or blog. 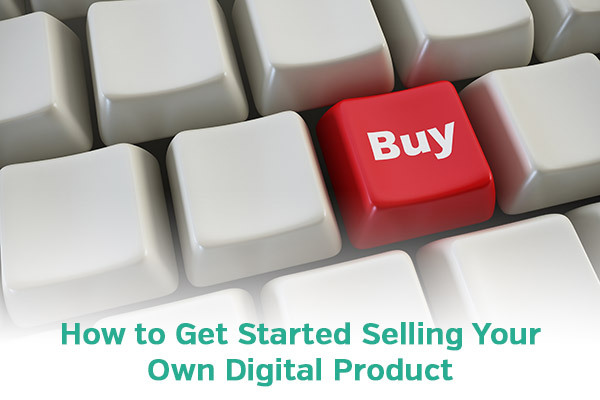 It may seem like a pretty intimidating idea if you have never created your own product, but it really doesn’t have to be that complicated, and in this article we’ll take a look at what is involved with selling your own digital product. If you’ve considered selling your own product, or if you are just looking for a good way to make some money from your website or blog, I think the details covered in this article will prove to a helpful introduction to the subject. While there are endless possibilities when it comes to creating and selling digital products, there are a few types of products that tend to be the most common. Each of these types of product provides plenty of opportunity for you to make money. Possibly the most common type of digital product to sell, and the first one that comes to mind for most people, is the e-book. E-books have been popular for years, both for buyers and sellers. E-books are relatively easy and inexpensive to create and are a possibility for a website or blog in just about any niche. Another thing to love about selling e-books is that they generally require very little customer service. Another popular type of info product is the online course. Video courses can be found on just about any topic imaginable, and text-based courses are also an option. Customers like online courses because they can learn at their own pace and on their own schedule. From the perspective of the creator/seller online courses, teaching can be a fabulous way to earn income. If you’ve already established your reputation or expertise in a particular industry or niche, creating and selling access to a course could be a great way to monetize your website or blog. Customers also place a high value on learning, so quality courses can be sold for high prices. While there are millions of blogs publishing content that can be read for free, there may be some cases where you want only allow your content to be seen by paying customers. This could be set up in the form of a membership website, or you could sell articles, videos, or podcasts individually. Another extremely popular type of digital product is software, which can even include things like WordPress plugins. A popular software product has huge income potential, which is one of the reasons why this approach is so popular. The downside of creating a software product is that you will need to hire a professional developer to create it for you (unless you are a developer yourself), and you’ll also need to provide more customer support than you would with some other types of products, such as e-books. Although creating a software product does involve some financial investment, it can still be a highly profitable venture. Affordable developers can be found at sites like Elance and Freelancer.com, but be sure that you are hiring a quality developer and not just the one with the lowest price. Website templates and WordPress themes are also very popular types of products. With countless new websites being launched each day, and plenty of older ones that need to be re-designed, the market for these products is huge. WordPress isn’t the only CMS that offers opportunities for making money by selling themes/templates, but it is the most popular right now. If you’re not a designer/developer you would need to hire someone to create the template or theme for you, and similar to selling a software products, templates and themes will usually require significant time for customer service. Of course, these are just some of the types of digital products that you could create or sell. You can use your creativity to come up with plenty of other options, these are simply popular examples. Why Would You Want to Sell a Digital Product? If it’s possible to make money by promoting other people’s products as an affiliate, why would you want to go to the trouble of creating your own product? 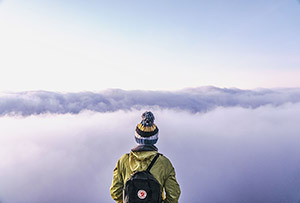 Well, there are several reasons why you might want to create you own product, and one of the most significant is the unlimited income potential. Many of the most successful internet marketers have made at least some of their money by selling their own product. If your product is successful and popular you stand to make a great income from it. You also have control over all the details of the product and its pricing, which is not the case if you are promoting a product as an affiliate. Plus, having your own product is great for branding yourself as an authority on a particular subject. There aren’t a lot of requirements or expenses for getting started with selling digital products, and in this section we’ll take a look at the specifics of what you will need. Chances are, if you are reading this article you already have your own website. But just in case you don’t, that would be a place to start. I recommend using SiteGround for web hosting, and this page will lead you through the process of getting your website set up. SiteGround’s hosting starts at $3.95 per month, and they give you a free domain name. You can use WordPress (free) to power your website. If you’re looking for a template to give you a great-looking website, I recommend Elegant Themes and StudioPress. With either of those options you can get a professional-looking template for less than $100. Of course, you’ll need to have a product to sell. It could be an e-book in PDF format, videos that you will allows customers to download, a software download or license key, a page that is protected for buyers, or any other type of digital download. This is where many people get overwhelmed, but it actually can be quite simple. There are lots of e-commerce platforms you can choose, but if you are just getting started I highly recommend going with a simple option like SendOwl or DPD. These platforms have been created specifically for selling digital products and also for ease of use. They have plenty of powerful features, but you can get your account and your first product set up in a matter of minutes. Also important, they are very affordable. Pricing for SendOwl starts at $9 per month and pricing for DPD starts at $10 per month (both offer 30-day free trials). A platform like SendOwl or DPD will do a few key things for you. First, it will handle the checkout process for your customers, and the security of the checkout as well. Second, it will integrate with your payment gateway of choice and you’ll receive the payments right away, SendOwl and DPD won’t hold your money, in fact, they never actually touch your money. Third, it will automatically provide a secure download link to your customers so they can access their purchase immediately, and you don’t have to worry about dealing with product delivery. For guidance on getting started, see Get Started with SendOwl for E-Commerce or Get Started with DPD for E-Commerce. The e-commerce platform will handle the shopping cart/checkout and the product delivery, but you’ll also need a payment gateway for collecting payment from customers. PayPal is the most common option, and it’s an easy way to get started. With PayPal customers can buy your products using their PayPal account balance or a credit card. I’d also recommend offering another payment gateway in addition to PayPal because PayPal is not available in every country and some people prefer not to use PayPal. Stripe is a great option to use in addition to PayPal, and both DPD and SendOwl easily integrate with Stripe. Like PayPal, Stripe charges no upfront or monthly fee. Their per-transaction fees are similar to PayPal’s. 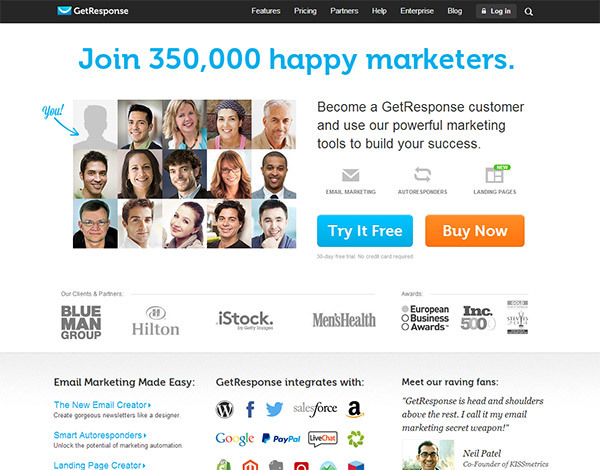 Although it is not a requirement, I highly recommend that you also have an email marketing provider, like GetResponse. Both SendOwl and DPD will easily integrate with GetResponse so your customers can be added to your email list. Having a list of existing customers allows you to sell more products in the future and to stay in close contact with your customers. GetResponse pricing starts at $15 per month, with a 30-day free trial available. So you know you want to sell a digital product, but what type of product do you want to create? There are a few things you can do to help make this decision easier and more effective. If you have an existing blog audience or an email list, create a survey that will provide you with some feedback about the types of product that would interest them. You can ask them about the format that they prefer (such as an e-book, video course, or members-only website), and you can also ask them about the topics and the type of information that would interest them the most. This can be a great way to know that your audience has an interest in a product before you dedicate the time and/or money to create it. 2. What Types of Affiliate Products Work Well for You? Do you promote affiliate products at your website or blog? If so, you can learn a lot about your audience by the referrals that you are able to make as an affiliate. If you make a lot of sales for other people’s e-books, chances are your audience would be interested in purchasing your e-book. Likewise, if there is a type of product that doesn’t produce much affiliate revenue for you, that might be a type of product that you want to avoid. You can use affiliate products to test your audience’s interest and make some money from those affiliate sales while you are gathering some knowledge for creating your own product. Another great way to find what customers want is to browse blog comments and forum threads on sites in your niche. What topics are people talking about? What problems and questions do people have? If you can find a way to create a product that will solve the problems or answer the questions that many people are asking, chances are your product will be in demand. Have you already established yourself and developed a reputation within your field? If so, creating a product that is aligned with your particular area of expertise will probably make it easier to sell. If you are viewed as an expert on a topic, why not create a product on that topic? You can also consider they types of content that you publish at your blog and the post topics. If you have a large archives of posts on a particular topic, those posts could provide some excellent exposure for your product. If your posts on the topic attract search engine traffic you can put an ad or a mention of your product on the page and instantly reach targeted potential buyers. Earlier I mentioned SendOwl and DPD because I think they are great options for anyone who is just getting started with selling a digital product. However, they are not the only options. Other more robust platforms like Shopify, Bigcommerce, and Magento also exist. Here are a few things to consider when deciding on an e-commerce platform. One of the first things you should look for in an e-commerce platform, especially if you are just getting started, is ease of use. This is a major reason to consider SendOwl or DPD over a more feature-rich option like Shopify, Bigcommerce, or Magento. Because SendOwl and DPD have been created specifically for digital products they don’t include a ton of other features that you’ll have no use for. That streamlined approach makes them very easy to set up and use. Of course, price is always a factor, although you shouldn’t settle for a less-than-ideal solution simply because it is cheap. The good news is that there are a number of affordable options, so price shouldn’t prevent you from being able to select a platform that will meet your needs. As I mentioned earlier, SendOwl and DPD start at $9 and $10 respectively. Shopify starts at $14 per month (with limited features) and Bigcommerce starts at $29.95 per month. All of these platforms offer room for growth if your needs increase with time. The user interface of an e-commerce platform will impact its ease of use, so this is also related to point #1. The only reason I haven’t mentioned another e-commerce platform, E-Junkie, in this article is because its user interface is outdated and not very intuitive, making it difficult to use. E-Junkie is a reliable service (I used it for a few years), but SendOwl and DPD can do the same things, and they are much easier to use. You won’t really be able to form much of an opinion on a platform’s user interface until you have tried it for yourself. Fortunately, many e-commerce platforms offer a free trial, so you can sign up for a trial with a few different platforms and see how they compare. Not only do you want to think about how easy or difficult the platform will be for you to use, but you also want to consider the customer’s experience as they are purchasing your product. Is the purchase process straightforward? What about the process of getting the download link to download the product? While you have a free trial set up, I recommend creating a test product, or your real product if it is ready, and going through a test purchase on your own. Make sure that the process is easy and painless for your customers. The customer support that you will receive is also an important consideration. Hopefully you won’t need support very often, but when you do need support it is critical that you get timely, professional assistance. While you have your free trial running I also recommend that you submit a support request with any e-commerce platform that you are considering using. Ask them a question related to getting your account or your first product set up and use this as a test to see what level of customer service you receive. Do they respond quickly? Are they helpful? If there are any other specific features that you need to sell your digital product take them into consideration as well. For example, if you are selling software licenses you will need a platform that supports this (both SendOwl and DPD can handle this). Affiliate Marketing vs. Selling Your Own Products: Which is Better?